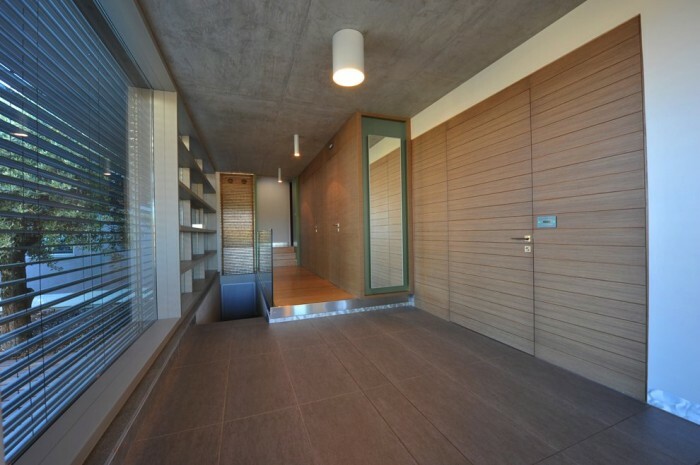 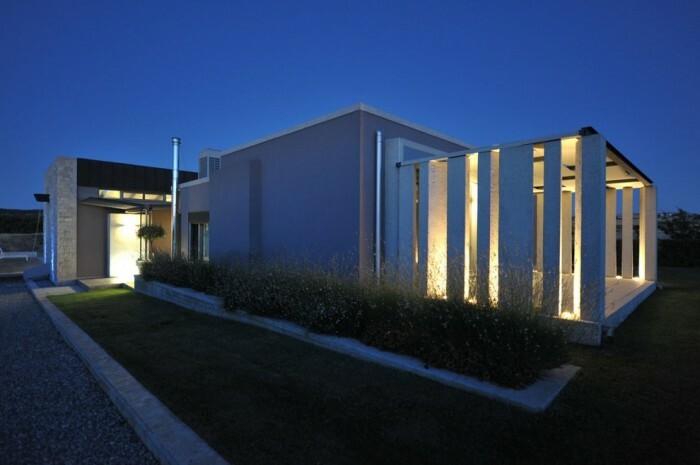 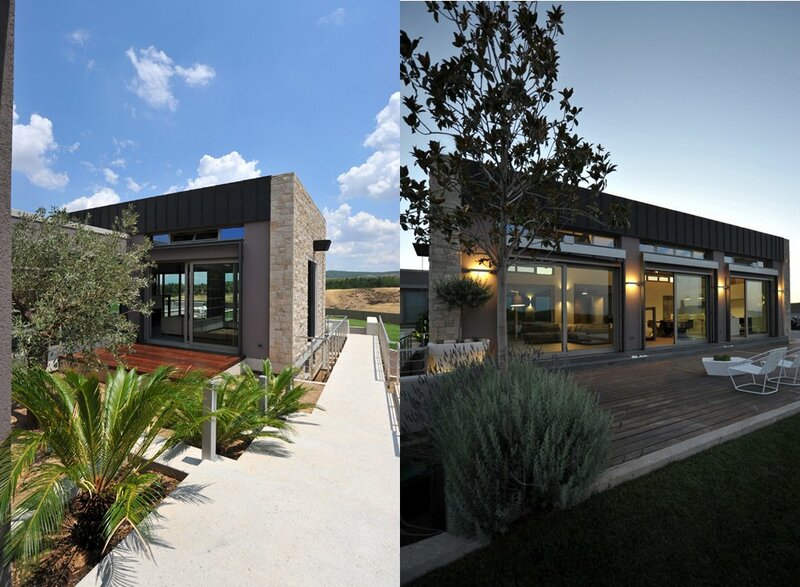 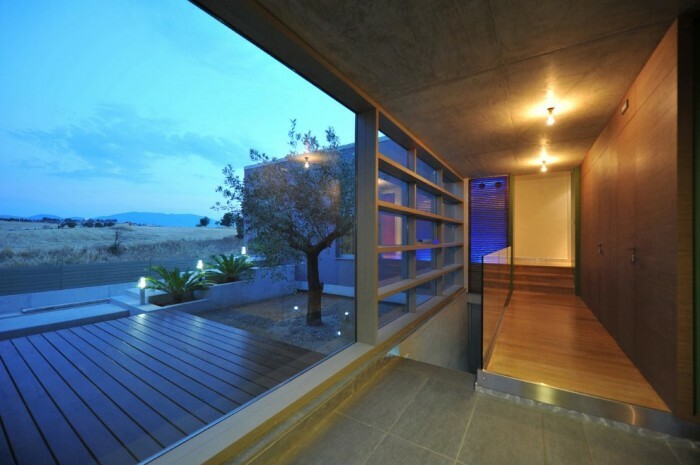 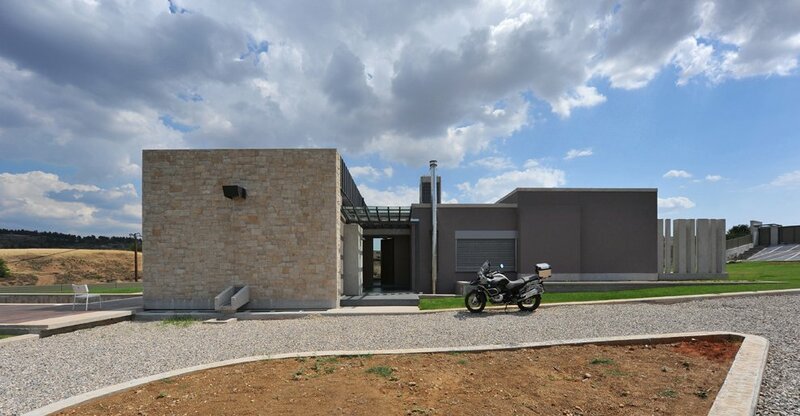 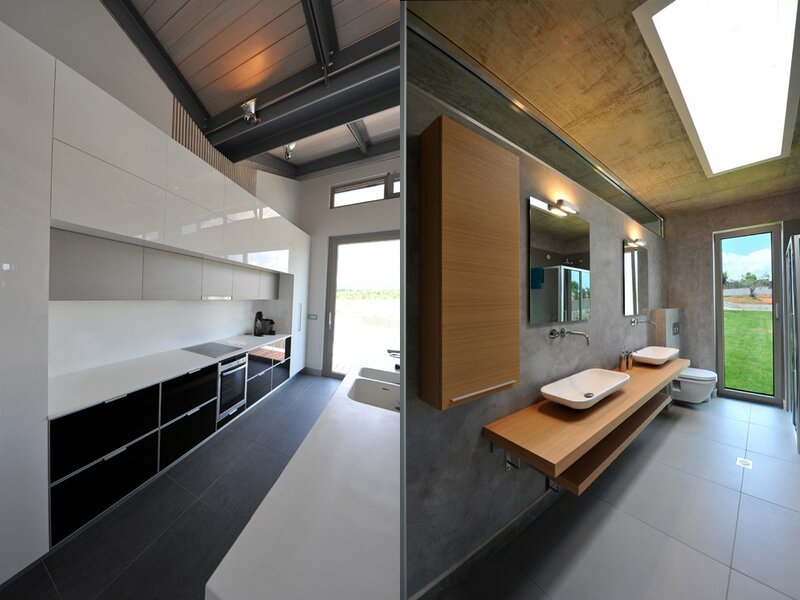 Situated on the outskirts of Â Thiva, Greece, this single story residence with basement was built for a family of four by Takis Exarchopoulos Architects. Accessible by a single, countryside road, one of the home's most attractive characteristics is its panoramic views of the surrounding farmland and woodlands. 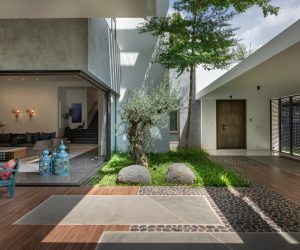 The architect created a U-shape design by connecting parallel-piped volumes to semi-enclose and highlight an interior courtyard with outdoor living space. The home's exterior blends nicely with the surrounding natural elements with its white board planking and stone cladding. 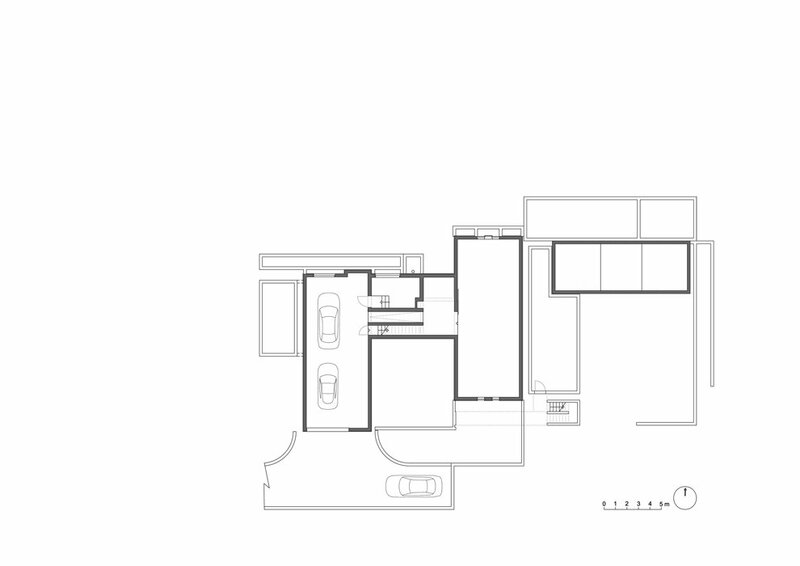 The main living area is open and airy with kitchen opening into dining room into living space. The home features a single story on top of a basement accessed off of the main passageway. 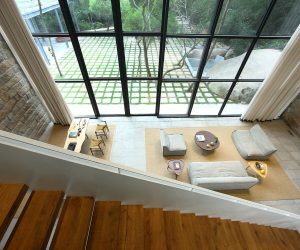 The home’s interior incorporates many natural elements, textures and earthy tones but still feels minimalist. 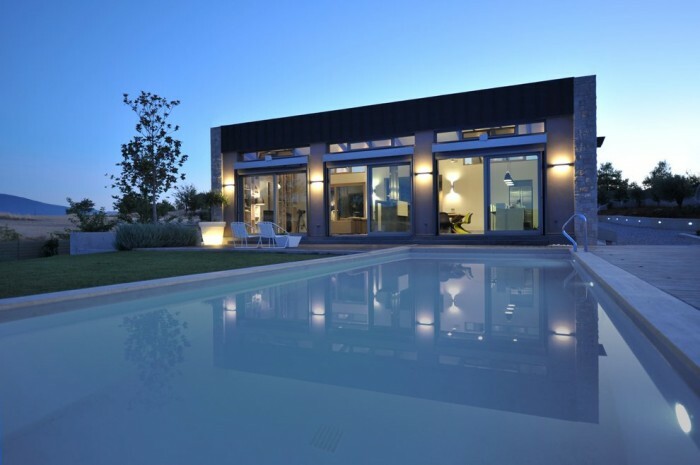 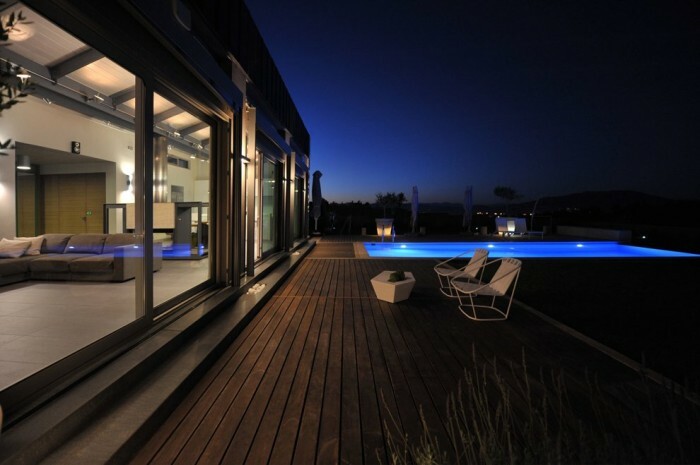 A luxuriously large swimming pool expands from just outside the home outwards. The exterior facade is made from white washed planking and stone. 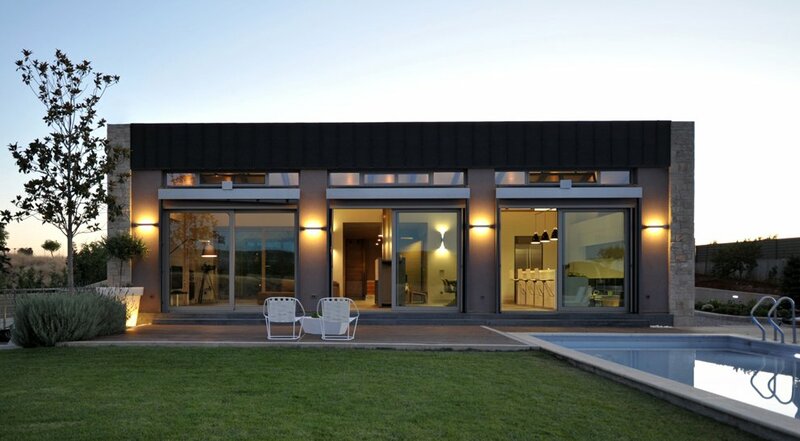 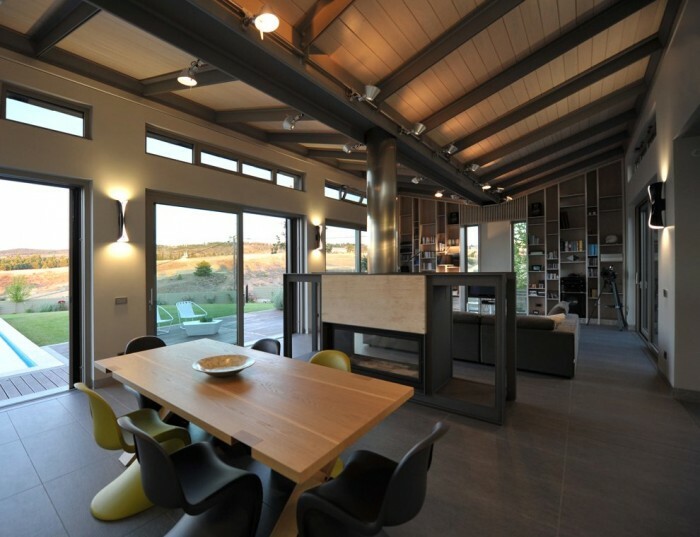 Windows are used to bring the panoramic farmland and wildlands into the home. 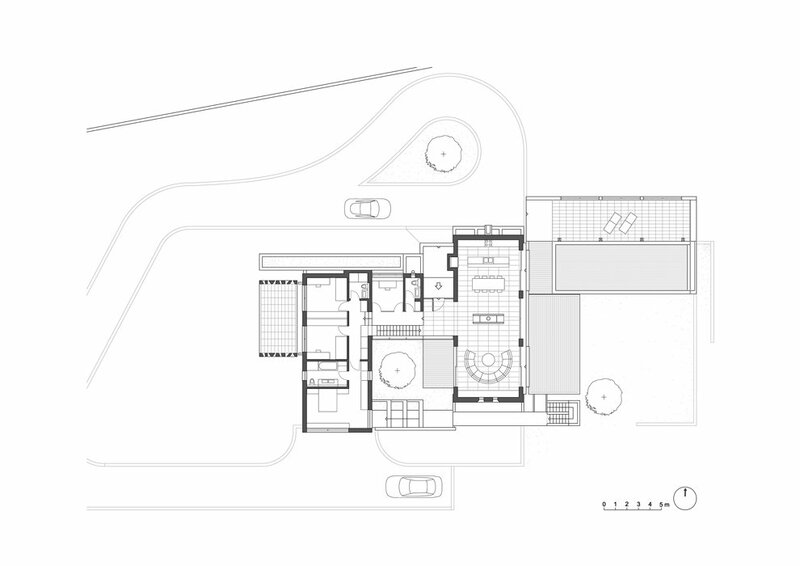 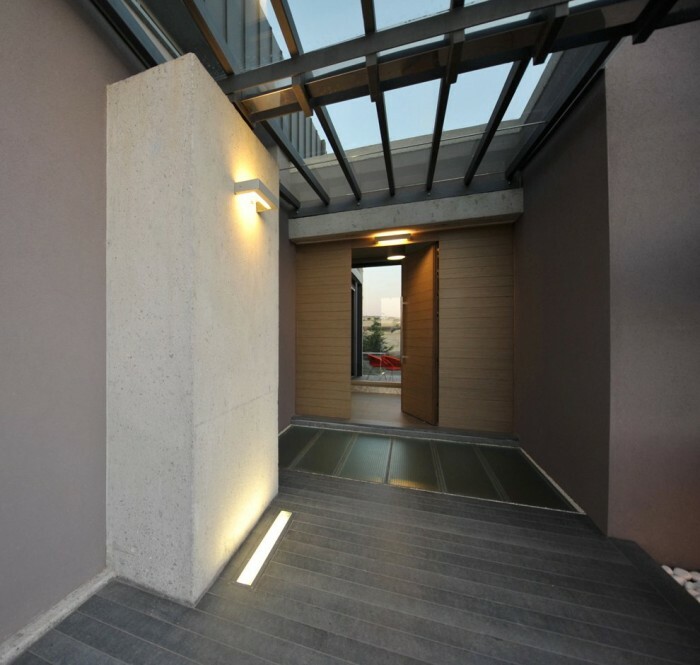 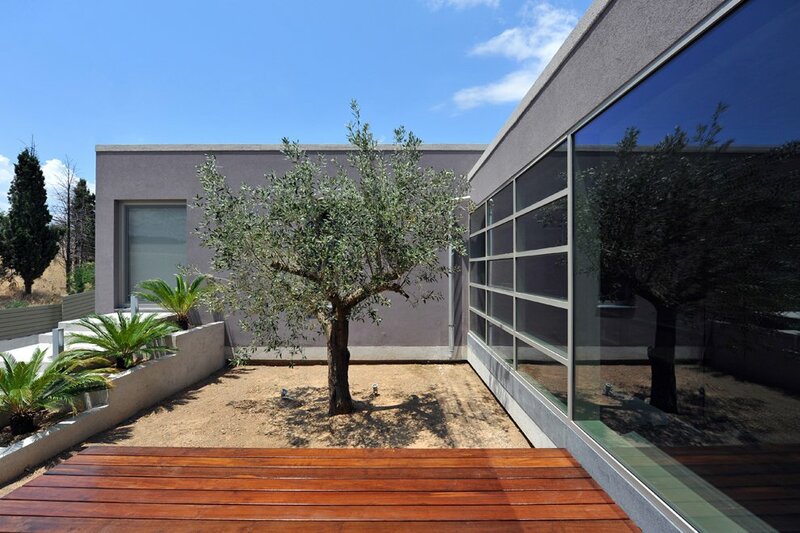 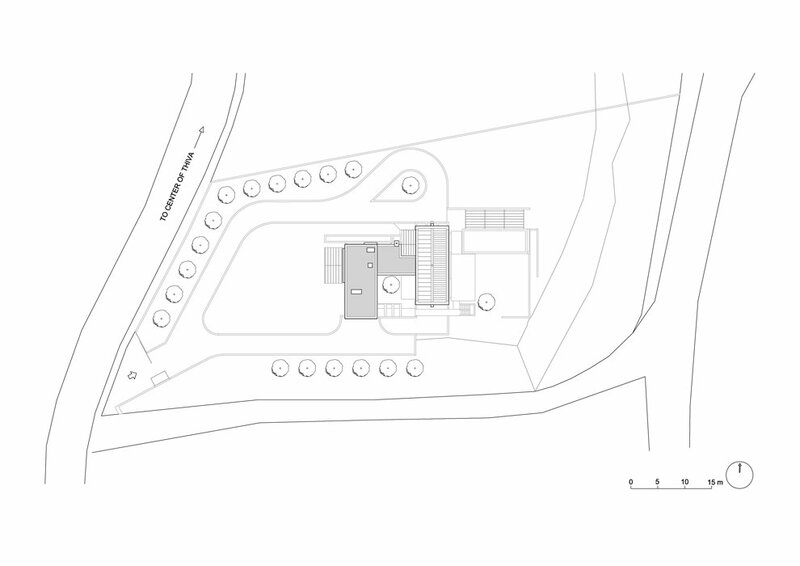 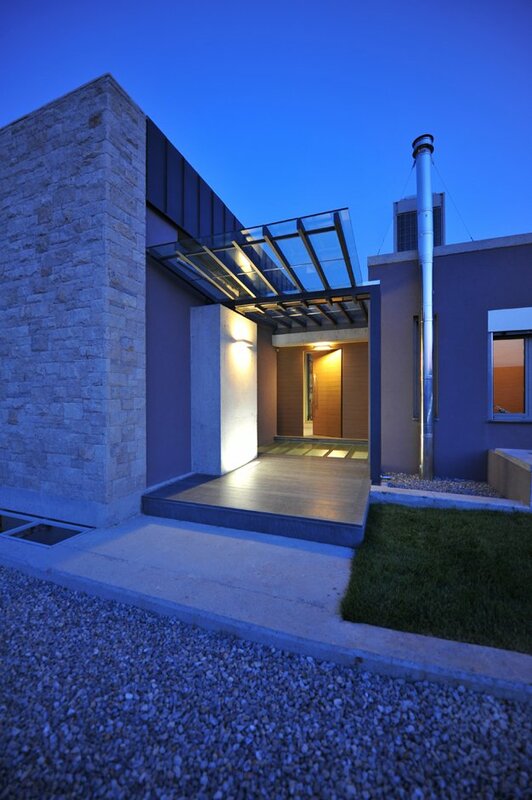 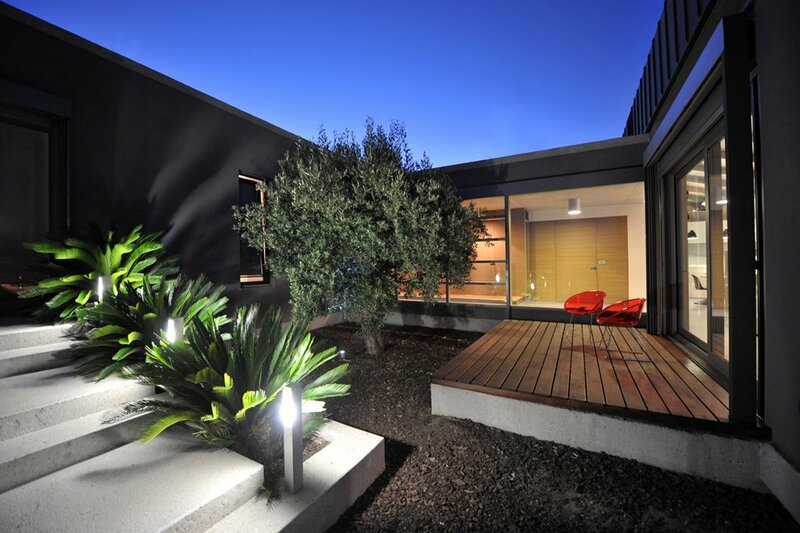 The home was built in a U-shape to enclose a central courtyard accessible from each of the three wings.